Every insulator shall withstand, at ambient temperature, a tensile load at RTL corresponding to 0,5 × SML (0+10) % for at least 10 s.
Each insulator shall be examined. The mounting of the end fittings on the insulating parts shall be in accordance with the drawings. The colour of the insulator shall be approximately as specified in the drawings. The markings shall be in conformance with the requirements of this standard (see Clause 4). e) moulding flashes protruding more than 1 mm above the housing surface. As we can see this test requires a tensile load on insulators and at the same time a temperature alteration in cycles. Such test needs a test machine with both functions. 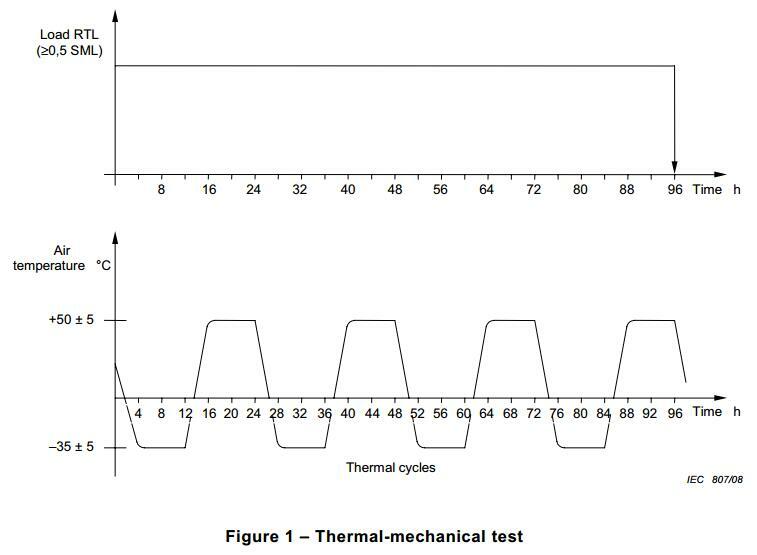 Thermal-mechanical test machine produced by Contune International Corp is capable to perform this test. It is controlled by computer precisely, providing a mechanical tensile load onto the insulators and with temperature change for cycles as IEC standard requests. This test machine has available for test of silicone rubber insulator (composite insulator), ceramic disc insulator string, and glass disc insulator string. It has different model as well from 1 working position to 4 working position. Each “working position” can load one long rod composite insulator or one string of disc insulators, so the more working position this machine has, the more insulator it can test at one time. This function will largely increase efficiency of test as the duration of temperature change usually last 96hours. More strings of insulator for one time will save more time for operators.